This is one jolly and festive card! LOVE LOVE LOVE your wreath a latte! Thank you for the inspiration! Love your wreath. The twine that looks like peppermint looks great paired with your wreath. Great job. Love your pretty wreath card! The festive cup looks fabulous! Making me crave a mocha! I love wreaths and this card is just lovely. As a fan of traditionally colored Christmas cards, this gets two big thumbs up from me! It's definitely merry! Wonderful way of using those dies. I have the peppermint coffee one and love it. Another AWESOME card. Love that wreath teamed up with the peppermint latte. Gorgeous! Beautiful card...colors make it look so cozy! Wow! Love your festive card!!! Yet another super cute project I want/need to scraplift!! Thank you for the inspiration!! Beautiful! I like the added red and white twine on top to go with your peppermint stick latte. :) Good idea with the wreath, too. One of my favorite cards so far. I love it! Wow, great card. Love the wreath! This really caught my eye. Great card. Beautiful card! I love the wreath! Yummy card. Love the wreath! So sweet....love that yummy cup of coffee! Love these dies and love how you've put them together... just beautiful! How pretty! Love all the snowflakes! Your card makes me want to go to Starbucks. Love it and the candy and snowflakes on the wrest are super cute! Thanks so much for joining us this week at Christmas Card Challenges. Beautiful christmas card - i like the different die cut elements ! 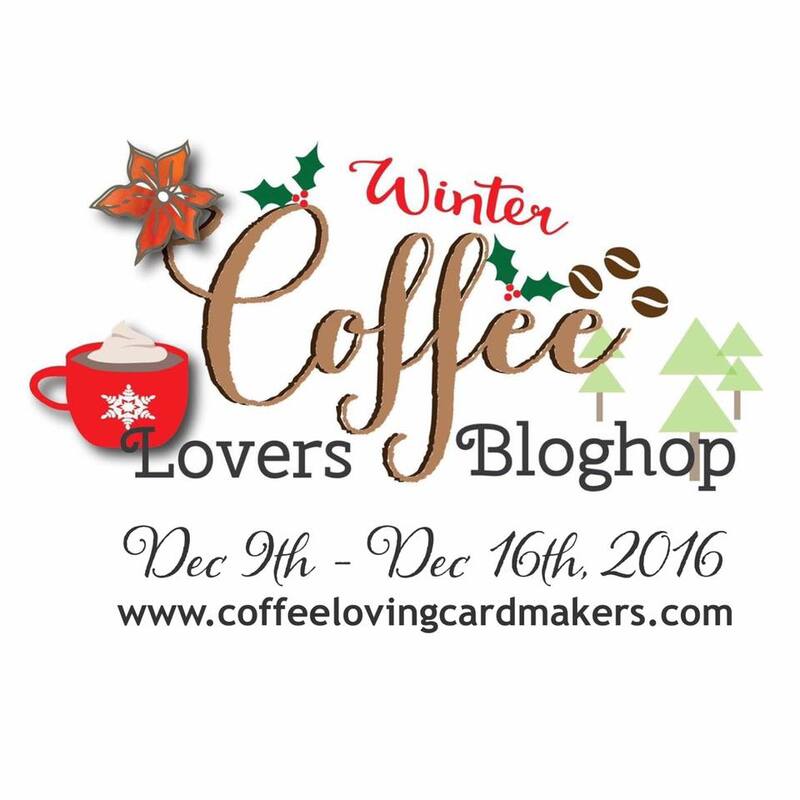 Great card for the Winter Coffee themed blog hop ! Very pretty. Love the traditional colors. I adore what you created !! Very beautiful ! A jolly latte in a wreath. It's beginning to look a lot like Christmas! Love the peppermints in the wreath too, nice touch! What a beautifully intricate card! I love all of the gorgeous detail! this is gorgeous! I love the happy wreath and the cup! Love this card! It's so festive and cheery! I adore all of the layers! what a beautifully festive coffee wreath! super cute!